If you are buying a home, you have probably heard the term adjustable rate mortgage. However, you may have very little idea of what an adjustable rate mortgage actually is. Consequently, you probably have no way of knowing if this is the best kind of home loan for you. Deciding on a mortgage is a huge step in life and you want to make sure you get it right. The more you know, the better. So, just what is exactly is an adjustable rate mortgage, otherwise known as an ARM? The standard arm definition is a home loan that allows the interest rate to change periodically over time. Initially, the interest on an ARM loan will be low for a set period of time. After that, the interest rates will fluctuate with the market throughout the life of the loan. As a result, the monthly payments on your ARM mortgage will go up and down over time. 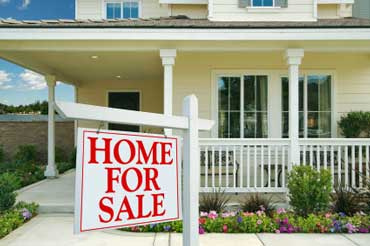 Adjustable rate mortgages come in several varieties, including traditional ARMs and hybrid ARMs. With a traditional adjustable rate mortgage, you begin with a low-interest rate and payment. However, at set intervals, the interest rate and your payment will be recalculated based on current indexes. A traditional one year ARM is reevaluated every year. A five year traditional ARM changes every five years. And so on. The most common type of hybrid ARM mortgage is the 5-1 ARM. With a 5-1 ARM, the fixed rate period of the loan will last for five years. Indicated by the “5.” After the first five years, the interest rates will change with the market every year. Which is the “1.” Similarly, a 7-1 ARM has a fixed rate period of seven years. A 10-1 ARM has a fixed rate period of 10 years. You may have heard of something called an option or payment-option ARM. This predatory lending method allowed borrowers to choose between three payment options. You could pay an amount that covered both the principal and the interest. Or you could pay an amount that only covered the interest. Finally, you could pay a minimum amount that doesn’t even cover the interest. Many borrowers fell into the trap of choosing the third option. After the housing crisis, the Consumer Financial Protection Bureau (CFPB) enacted the Qualified Mortgage (QM) rule in 2014. This essentially banned option ARMs. So far, we have covered the basic principals behind an adjustable rate mortgage, whether it be traditional or hybrid. What we haven’t explored is how interest rates and mortgage payments are calculated when they are up for reevaluation. Usually, ARM rates are tied to one of three major indexes: the maturity yield on one-year Treasury bills, the 11th District cost of funds index, or the London Interbank Offered Rate. Interest rates either increase or decrease according to the index being used plus a set margin. While the index rate can change, the margin remains the same. For example, if the index is 5% and the margin is 2%, the interest rate on the mortgage adjusts to 7%. However, if the index is at only 2% the next time the interest rate adjusts, the rate falls to 4%, based on the loan’s 2% margin. Borrowers with an adjustable rate mortgage have the protection of rate caps. There are three kinds of caps that limit how much their interest rate and mortgage payment can change. Periodic rate cap: Limits how much the interest rate can change from one year to the next. Lifetime rate cap: Limits how much the interest rate can rise over the life of the loan. Payment cap: Limits the amount the monthly payment can rise over the life of the loan in dollars, rather than how much the rate can change in percentage points. Like everything else, there is both an upside and a downside to having an ARM. Here are the pros and cons associated with ARM loans. At the beginning of the ARM, the interest rate is generally lower than that of a fixed-rate mortgage. There is the possibility that the interest rate could drop even lower and decrease your monthly payment during recalculation. On the other hand, there is also the possibility that the interest rate could go up and your mortgage payment could increase. Because interest rates are unpredictable, you have no way of knowing what your future mortgage payment will end up being. Whether or not an ARM is right for you depends on your short-term plans. Are you likely to move or refinance in the near future? Are the upfront savings in lower payments worth the possibility of higher payments in the future? Here is a handy quiz that will help you figure out if an ARM is right for you. Check off any item that is true. My job has required multiple transfers in the past decade. I plan on having more children/occupants than the home I’m buying has bedrooms. I’m single, young and buying a condo or apartment. I may be retiring in the next ten years. I’m having trouble qualifying for a fixed rate mortgage at today’s rates. I expect to move or expand my home within the next seven years. I have elderly relatives who may require my care in the near future. All of the situations on this checklist mean that you may move, expand your home, refinance, or want more productive cash flow at some point in the future. All of these things indicate that an adjustable rate mortgage may be a better option for you and your life.